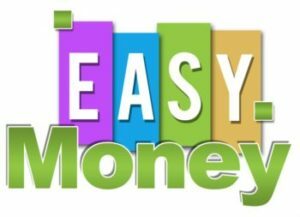 Today we will show you another way in which you can make money by helping people that are looking for work. You show them how to do and outsource freelance work and in turn, you profit off of their earnings. Odesk.com offers an affiliate program which pays out $50 with each customer who adds and verifies their credit card information. That’s what we are going to want to make money from with this method. So how do we make conversions? Target people that are looking for work. There are 2 ways to do this which I will go over below. The best thing about this method is that our leads will be red hot. These are people that are making the effort to either post that they are looking for work or responding that they are looking for work. Either way, you should see an extremely high conversion rate (relative to a normal expected conversion rate). What are you going to offer? You are going to train them and show them how to find work on Odesk. As you can see now, there is nothing shady going on with this method. You are giving a skill to someone that is in desperate need of it. What am I going to teach them? You are going to show them how to take jobs from Freelancer.com and outsource it on Odesk. Through that process, you are going to show them how to profit as the middle man. Also, you are going to show them how to complete tasks on their own as well. With this method, you are going to be collecting money from them. What you will do here is explain that you will collect a percentage of their profit that they make but only from their profit. If they don’t make any money, they don’t loose any money. How do I find these people? Either place ads or respond to ads. Responding to ads that have people looking for work will give you the best results but they are more difficult to find. You can use the help of IFTTT, which we discussed earlier to help you with that. Otherwise, you can put ads on craigslist in various cities and in local newspapers as well. Focus on bringing new people in and try to template your communication with them as much as you can. That will speed up the process and allow you to expand and grow this method. That’s our method for today. Check out the affiliate program at Odesk and get started on it.